The tablet space is currently dominated by the Apple iPad. However, there are plenty of Android offerings available in the market. The best part about Android tablets is that they cater to almost every market segment. This, in turn, means that there are plenty of budget Android tablets that won’t break the bank, but will still offer the true Android experience. So if you’re on the lookout for the best among the budget tablets, we’re going to make your job easier. 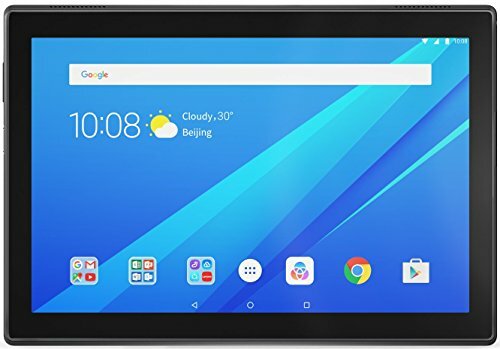 We will talk about five of the best cheap Android tablets that you can buy, most of these can be had for less than $200! Our favorite budget tablet, the Amazon Fire HD 10 comes with a feature set to rival all of its Android rivals. 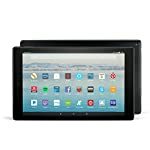 Although the Fire HD 10 runs Android, it doesn’t contain any Google app, since Amazon runs a forked version of Android on its tablets. However, the tablet more than makes up for it with Amazon’s versatile set of apps. 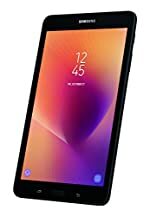 The tablet comes with a 10.1-inch 1920 x 1200 display, the quad-core Mediatek MT8173 processor, 32/64GB of expandable storage, 2GB of RAM, a 2-megapixel rear camera, a VGA front camera, and a 3,830 mAh battery under the hood. The battery life of the Fire HD 10 is rated as 10 hours, which might vary depending on your usage. The tablet also comes with stereo speakers on board, allowing for an immersive media experience. Lastly, the Fire HD 10 also comes with Alexa support out of the box, so you can use this like any other home assistant you have. The company offers the tablet with and without special offers. If you’re unaware about the company’s special offers, this is Amazon’s way of making up for the low cost with ads on your lockscreen. This means that you will have to pay more for the one without special offers. The Fire HD 10 is priced at $139.99 for the 32GB variant $174.99 for the 64GB model. You’ll save an additional $15 on each model if you choose to get Special Offers on your screen. The Fire HD 10 is available in Black, Punch Red, and Marine Blue. This isn’t the newest tablet on the block but is still a decent offering given the kind of hardware it’s packing. The G Pad F 8.0 comes with an 8-inch 1280 x 800 display, a 5-megapixel rear camera, a 2-megapixel front camera, 1GB of RAM, the quad-core 1.2 GHz Snapdragon 400 SoC, 16GB of expandable storage, Android 5.0.2 Lollipop, and a 4,200 mAh battery. But my favorite feature here is the presence of a USB 2.0 port, allowing you to transfer files from other devices or computers. There are barely any tablets out there that support this feature, which makes the G Pad F 8.0 stand out. Yet another crucial feature here is the presence of cellular, allowing you to connect to the internet without requiring Wi-Fi. Customers will have to check with their carrier to know if it can support voice calling. The tablet will cost you $199.99, although pre-owned models are selling for much lesser on Amazon. The retailer appears to be offering the tablet only in black right now, so there are no color options. Launched last year, the Galaxy Tab A 8.0 is a stellar tablet ideally suited for those on a budget. This here is the Wi-Fi only version, so there’s no cellular connectivity on board. In terms of features, the tablet comes with an 8-inch 1280 x 800 display, 2GB of RAM, 32GB of expandable storage, the quad-core 1.4 GHz Snapdragon 425 SoC, a 8-megapixel rear camera, a 5-megapixel front camera, Android 7.1 Nougat, and a 5,000 mAh battery. Although most Samsung devices feature an AMOLED display, the company is using a standard LCD panel here to save costs. Even with the display panel, the company claims that it can eke out 14 hours of video playback on a full charge. Since it runs a customized version of Android, Samsung will have an operating system optimized for its apps and services. As far as budget tablets go, the Galaxy Tab A 8.0 is a solid choice. It’s available in Black and Silver with a price tag of $177.99. Lenovo is no stranger to the tablet space. The company is known for its flexible and feature rich Yoga Tab devices. The Tab 4 10.1 is a budget oriented device, so you might not find all those flashy features here. But even then, the tablet does manage to surprise for a budget offering. 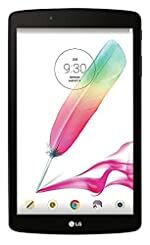 It features a 10.1-inch 1280 x 800 display, a quad-core 1.4 GHz processor, 16GB of expandable storage, 2GB of RAM, a 5-megapixel rear camera, a 2-megapixel front camera, Android 7.1 Nougat, and a 20 hour battery life. The tablet also comes with the Alexa Voice Services enabled, allowing you to interact with connected devices or just make native queries on the device. With multi-account functionality built-in by default, the Tab 4 10.1 is ideally suited for large families with multiple adult or minor users. Further, by getting the Lenovo Kid’s Pack, you can turn this into a kid-friendly device. All this is available for only $179.99 on Amazon right now. 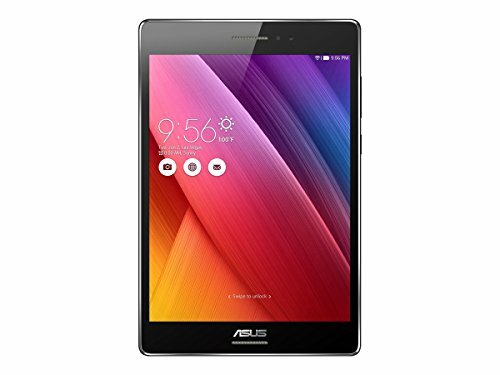 The ASUS ZenPad S 8.0 has stood the test of time. It was launched nearly three years ago, so it’s not fresh in the industry. But if you’re looking for a cheap Android tablet with a bulk of the modern features, then this one has to be it. 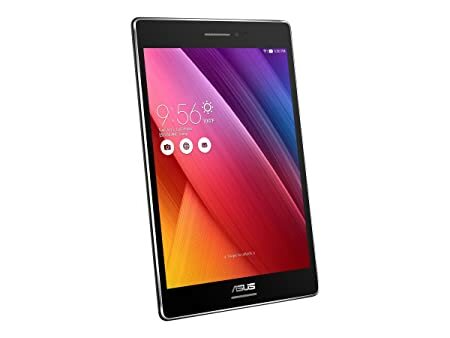 The ZenPad S 8.0 comes with an 8-inch 2048 x 1536 display, the quad core Intel Atom Z3530 processor, 32GB of expandable storage, 2GB of RAM, a 5-megapixel rear camera, a 2-megapixel front camera, Android 5.0 Lollipop, and a 4,000 mAh battery. As you can see, the ZenPad S 8.0 can hold its own against the competition thanks to its hardware. Intel processors are somewhat lagging compared to Qualcomm units, but expect amazing GPU performance from this particular offering. There are multiple variants of the tablet right now, and the 32GB model on Amazon is currently selling for $249.99. The retailer is only offering the tablet in Black right now. Head over to Amazon to check it out.